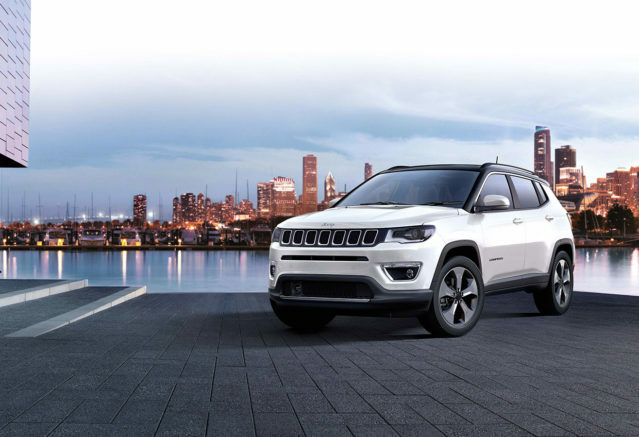 The first new model of Jeep in Australia in two years, the second generation Compass makes its way to the market. In 2014, the first generation Jeep Compass didn’t quite hit the mark with Australian customers. It was a car that showed its age, and consumers were quick to catch on. Thankfully, this has changed. The all-new second-generation Jeep Compass has evolved and it now uses a global platform that is shared with the smaller Renegade SUV. It might be a year late for Australia – the left-hand drive options were released in the United States in 2017 – but Jeep certainly made the wait worth it. 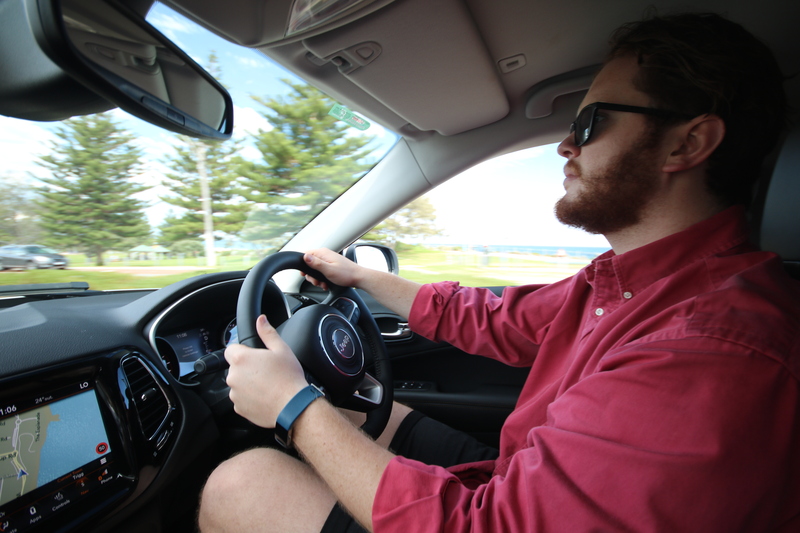 I had the pleasure of driving the Jeep Compass over the weekend and in the following review I cover how it handles, the interior, motor and performance. What are Jeep Compass’ Best Features? Looking at the exterior, it is easy to see that the Jeep Compass is somewhat parallel to the larger counterpart Grand Cherokee but in a more compact size. The smart and sleek design gives this SUV an upmarket look not always typical of the Jeep. “In terms of refinement and the product’s offerings, Compass raises the bar in the compact SUV segment with new levels of style, advanced technology, safety features, and most importantly, capability – it’s a versatile vehicle that will relish in Australian conditions and as such we are confident that it will be well received by the market.” says Guillaume Drelon, head of the Jeep brand at FCA Australia. Overall, Jeep has redeemed itself with this well-built Compass. It drives nicely and has a roomy interior. It is extremely easy to park, especially with the trim versions that have the clever park assist feature. What variants is the Compass available in? The Australian version of the Jeep Compass 2018 comes in 4 variants and with the choice of two engines. Starting from the least expensive, it is available in Sport, Longitude, Limited and the higher option off-road focused, Trailhawk. The first two, Sport and Longitude are only available in front-wheel drive and are powered by 129kW of power and 229Nm of torque from its 2.4-litre petrol engine that is naturally aspirated. Sport comes available in both six-speed manual and automatic transmission while the longitude only comes in automatic. First is the entry-level Sport trim. Expect the price range to start from “under $30,000” or “$29,950 at time of publishing”. It comes with both six-speed automatic or six-speed manual transmission. Manual transmissions consume 8.6 litres of fuel per 100km. You’ll get the 17-inch alloy wheels, daytime running lights, non-adaptive cruise control, keyless entry, leather-wrapped steering wheel, six-speaker radio with a Bluetooth option, and a 5-inch touchscreen reversing camera. The Longitude is also a front wheel drive version that comes equipped with a 2.4-litre petrol engine. However, only automatic transmission is offered in this line, making it have the same combined fuel consumption numbers from Sport. It comes with all the standard features of Sport plus auto headlights and wipers, roof rails, fog and cornering lamps, tinted privacy glass, LED ambient interior lighting, side window surround highlights, and a front shotgun seat that offers storage within the seat cushion when the seat is folded forward. With this version, you have an option to upgrade for $2150 that gives you a larger 8.4-inch multimedia screen. The first variant to be offered in four-wheel drive is the Limited version. It already has the 8.4-inch multimedia screen that you have to pay for in the previous version, and it has a nine-speaker BeatsAudio sound system. The interior is also premium in all levels. You get an auto-dimming rear-view mirror, a slightly bigger 18-inch alloy wheels, leather seats, heated and powered front seats and keyless ignition. On the outside, the Limited comes with bi-xenon headlights and LED tail-lights. It also boasts of a front and rear parking sensor, and auto parking for those who are having a hard time parking during parallel and perpendicular situations. With Limited, you get the option to include a two-tone black roof for $495 and a dual-pane panoramic sunroof for $1950. To deal with off-road situations, the “Selec-Terrain AWD offers specific modes for ‘Sand’, ‘Mud’ and ‘Snow’. Physically, the Trailhawk showcases design changes that make it easy to differentiate from the other three trims. This includes exposed recovery points, a ‘Trail Rated’ badge, off-road tires, and a steeped front end that ultimately improves the approach angle. To live up to its ‘Trail Rated’ badge, Trailhawk has an ‘Active Low’ transmission function that allows a 20:1 crawl ratio. This means that the Selec-Train system can be utilized without needing an extra ‘Rock’ mode for the already available ‘Sand’, ‘Mud’ and ‘Snow’ mode. Get your hands on the most off road capable suv in its class and has true off road capability and equipment to get through the hardest off road terrain. Trailhawk is offered only in diesel, but with the same 2.0-litre engine and nine-speed auto as the Limited. Add-ons include the roof add-on that is also available in the Limited version and the “Comfort and Convenience Group’ upgrade that brings leather seats, keyless ignition with proximity keys and powered and heated front seats that have memory settings. While all the models are equipped adequately at their price points, you have to be ready to shell out an additional $2500 to for additional (but exceptional) features like the Autonomous Emergency Braking (AEB). According to Jeep, all models produced from May 2018 onwards will come with the option to have AEB added for another $1000, even for the entry-level Sport version. The Limited and Trailhawk versions both run Diesel. What feature do all the styles have? The standard features that can be expected on all trims are the 17-inch alloy wheels, seven airbags, DAB+ digital radio, reversing camera, a 5.0-inch main display and 3.5-inch instrument display, leather steering wheel and an electric park brake. What features are added on the higher end styles? Taking into consideration the features and the price that comes along with it, the question that is left unanswered is – Is it practical? All Jeep Compasses are protected by Jeep’s five years or unlimited kilometre warranty. This also includes five years capped-price servicing and five years of roadside assistance; it becomes a lifetime warranty if it is serviced through a Jeep dealer. Another consideration for practicality is the capacity that the car can carry. Jeep claims that Compasses’ boot capacity of 438 litres that can be expanded to 1251 litres when the rear seats are folded. The Jeep Compass 2018 comes with a choice a 2.4-litre 129kW/229Nm four-cylinder petrol engine or a 2.0-litre 125kW/350Nm turbo-diesel. The diesel engine for the Trailhawk has a smaller engine, but the turbo more than makes up for it. The two entry-level models, Sport and Longitude, are only available in front-wheel drives (4×2). The Sport has an option of a six-speed auto transmission or six-speed manual transmission and only the automatic transmission for the Longitude. Let’s head on to the high players. The Limited comes with the choice of diesel or petrol while the Trailhawk only comes in diesel. Both sports a four-wheel drive (4×4) and a nine-speed automatic transmission. The most important thing to note about the Jeep Compass 2018 is that it comes with seven airbags and additional knee bags that are available for the Australian market. It comes as a standard for the two higher models, Limited and Trailhawk. But you have to pay an additional $1000 to have it installed in the lower entry-level versions Sport and Longitude. The “Advanced Technology Group” add-on that you can get for $2450 puts the safety features of the Jeep Compass to a better stance. In closing the Jeep Compass is a perfect choice of car for the safety conscious, tech savvy suburban motorist. Overall, the Jeep Compass is a spacious small SUV that is surprisingly an extremely smooth ride, despite only having two cup holders in the front, and the indicators being on the left rather than the right. It was easy to drive, but the steering wheel controls were a little confusing and hard to figure out. Usually when you drive an SUV, cornering is always scary, and you never know if this will be the corner that you roll over on. The Jeep Compass is the opposite of this, the car grips the road, and you can really feel that when cornering at speed. The SUV’s entertainment system was second to none, and really brought the experience together. Thank you to the team at John Hughes for the opportunity. Would you like to know more about the Jeep Compass? Explore the range in further detail here or contact us to arrange a viewing and test drive today. Call us today, or come down and visit our friendly staff at one of our showrooms!